When you need faster or more reliable data transmission, think Interlink! Since 1995, Interlink Telecommunications has been the leading supplier of fiber optic design and installations in the Sarnia-Lambton and surrounding areas. 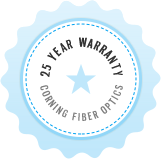 As the only local fiber optic company that is part of the prestigious Corning Network of Preferred Installers (NPI), we’re able to offer you the unsurpassed 25-year Corning warranty on fiber products. Interlink offers affordable, turnkey solutions that are customized to meet our customer’s unique requirements and environments. Fiber optic cabling is scalable, allowing your network to grow along with your business. It is also designed for adaptability to new technologies providing a greater return on your investment. As you’ll see in the detailed information below, we are fully qualified to handle all your fiber optic needs. Our field-experienced technicians are experts in troubleshooting. The right training and equipment allow us to quickly locate, identify and remedy problems. 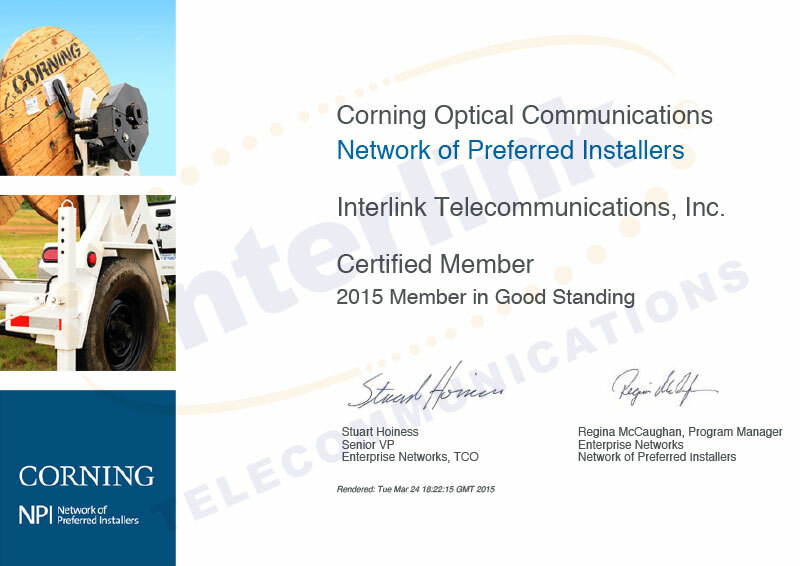 We are the only Sarnia-Lambton fiber optic company in the Corning Network of Preferred Installers (NPI). To obtain this certification we meet Corning’s most stringent requirements for technical and financial strength and have a proven dedication to quality installations. We also commit to frequent factory training to update our skills and stay abreast of the latest technologies.